Success with inbound marketing is highly dependent on the quality of your content marketing strategy. But with so many moving parts, developing one can feel near impossible. At Hubspot’s Inbound 15 conference this past week, the xoombi team brushed up on their skills, learned new tips and tricks, and heard from some of inbound marketing’s biggest names. One of the sessions that stood out the most was Tamsen Webster’s “A Content Marketing Blueprint.” In this session, she explained her own approach to developing a content marketing strategy and how others could follow her lead. 1. Create the right content. Content marketing is intended to drive action. In order to get your target audience to complete the specific action you’ve determined, you have to create the right content. Knowledge: What does your target audience need to know before they can believe? Belief: What three to five things does your audience need to believe before they can act? Action: What do you want your audience to do or how do you want them to think differently as a result of your content? Think of it as a triangle with the audience’s problem hovering over the top. 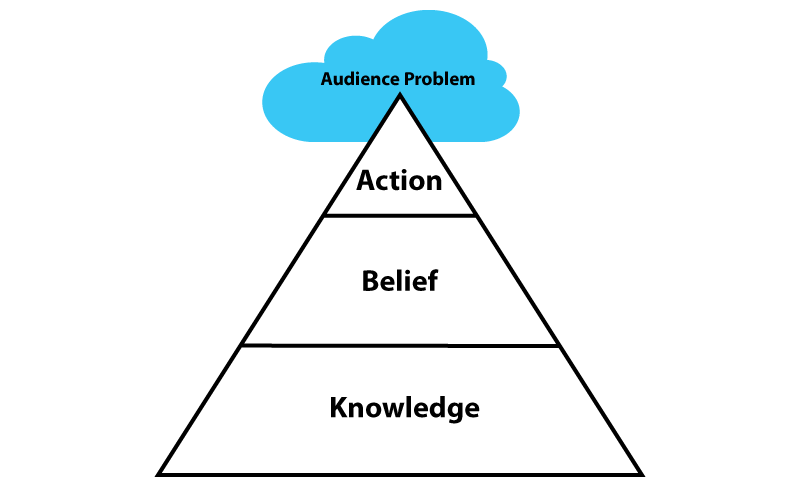 Action sits at the top of the triangle, belief in the middle, and knowledge at the bottom. If you use data and illustrations to create knowledge, insights to stir belief, and outline specific action items to get people to act, you can move your target audience from motionless to actively participating. 2. Use the right sequence. Next comes the sequencing part of your content marketing strategy. As Tamsen pointed out, “Content must align with how people process and retain information.” Sequences create context for your content, and context creates comprehension. Learn of your company by visiting your blog and reading top of the funnel (TOFU) content. Come back to your blog and subscribe to your weekly newsletter. Follow a link from your email to an eBook where they give you more information about themselves in your lead form. Find the content so valuable that they reach out to set up a demo of your software. For people to understand the content at each stage, you must “create a sequence where each point creates logical context for the point that comes after it.” BEWARE, however, as the logic must be your audience’s logic, not your own. 3. Leverage the right engagement. With any piece of content, the point is to get and keep your audience’s attention. 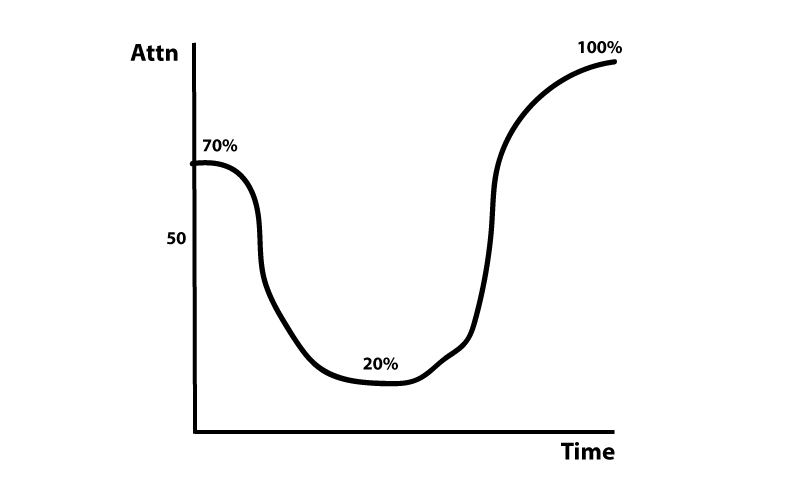 Tamsen pointed out that statistically, attention patterns follow what she calls a “bathtub” curve. Attention starts out at about 70% at the beginning of the piece, dips to 20% in the middle and goes back up to 100% at the end. This is why you have to grab your audience’s attention and make it immediately apparent why your piece of content is important. By creating the right content, using the right sequence, and leveraging the right engagement, your content marketing strategy will be sure to hit the mark. Use this formula when approaching every new content project and you’ll find that the more value you add and the more problems you solve for your audience, the more engaged they’ll be and the more they’ll convert!